Preventing and controlling viral resistance is the central goal when administering drug therapies against viral infections. For instance, HIV exists in millions of variants. In order to suppress the replication of the virus inside the body of the patient, combination drug therapies are administered. These are composed of drugs from a base set of over two dozen compounds. Figure 1: Millions of HIV variants are contrasted with hundreds of combination drug therapies based on over two dozen drugs. The drug selection benefits from bioinformatical support. The relevant information for selecting the drugs is the viral genotype, which can be identified from blood samples of the patient with methods of genome sequencing. From the genotype one can identify the viral resistance phenotype with bioinformatics methods. There are two approaches for this purpose. The first consists of experts manually composing a set of rules for deriving the phenotype from the genotype. These rules are collected in computerbased expert systems which are utilized by the therapist. The second, more systematic approach consists of the bioinformatical derivation of the viral phenotype from the genotype based on a suitable set of clinical data about viral resistance. At the Max Planck Institute for Informatics we are following the second approach. Our research over the last decade or so has led to the geno2pheno system, which is freely available over the Internet at www.geno2pheno.org, for treating AIDS patients. Analyses offered on the geno2- pheno server have found their way into the European guidelines for treating AIDS patients with certain drugs. In 2010 the research on geno2pheno was redited with the AIDS Research Award of the Heinz-Ansmann Foundation. A class of analyses offered on the geno2pheno server that are used in clinical routine can be regarded as virtual phenotypes. A virtual phenotype is a bioinformatical, i.e. computer-based procedure which estimates the result of a laboratory experiment which is informative about the therapy of the patient and which therefore can be used as companion diagnostic for selecting the medication. Here the laboratory experiment itself is usually not accessible, be it that is too expensive, takes too much time, or is unavailable. Therefore the experiment is carried out only on a limited number of samples within a research project, in order to generate a suitable data set on which to derive the virtual phenotype. Geno2pheno makes available such virtual phenotypes, which can be used as companion diagnostic for administering certain AIDS drugs. In addition, geno2pheno offers a second generation of bioinformatical support systems for therapy selection. These systems not only estimate viral resistance against individual drugs but also assess the effectiveness of the therapy consisting of a combination of different drugs. This analysis also entails an estimate of how difficult it is for the virus to attain resistance against the current therapy in the future. The second generation of prediction systems is still in the research stage and has not yet entered clinical routine on a broad scale. Reasons for this include the need for additional validation of these methods. Furthermore, the accuracy of the procedures can be improved further, for instance by resorting to additional information such as on the therapy history of the patient or on aspects of his or her genotype, especially those aspects which pertain to the patient’s immune system. Finally, the predictions are not yet easy enough to interpret. The therapist expects from a bioinformatical prediction method not only its result but also an argument as to why this result is plausible. Improving the second-generation prediction systems is currently a focus of our research. 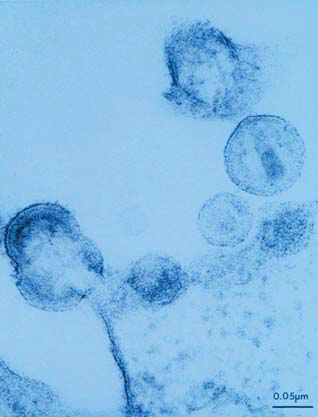 New sequencing methods facilitate the resolution of essentially the whole viral population inside the patient. On the basis of such data, the prediction of therapy success can be made more accurate (see article “Attacking HIV from New Angles”, page 47 and “Analysis of Viral Genomes Using Next-generation Sequencing”, page 46).